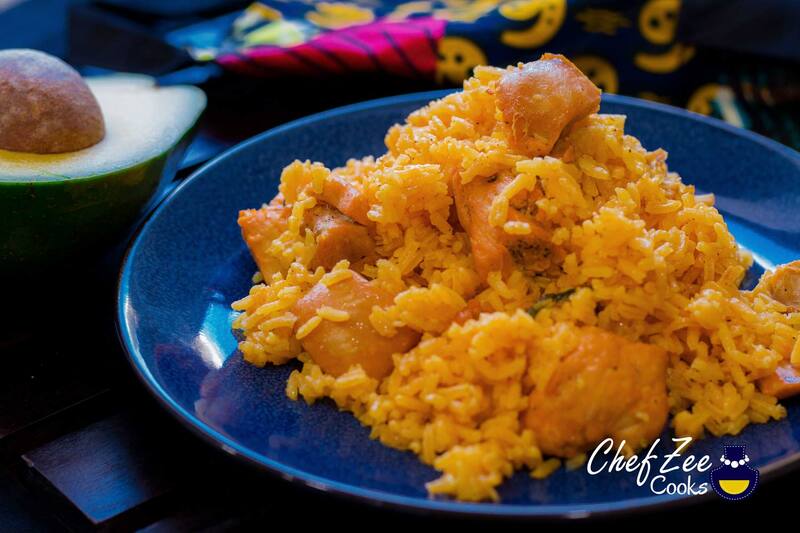 Locrio de Pollo aka Arroz con Pollo is a tasty dish that varies from house to house. This dish is traditionally made with bone-in chicken for maximum flavor but I’ve recently started making this dish with boneless and juicy chicken to appease the picky kids in the house. The result? A rice dish that is equally as delicious as the traditional version! Now as I mentioned before, there’s a million different ways of making this dish. You can make it like a stir-fry by gently frying the rice and chicken altogether or you could even make it like Paella by letting the rice simmer in a tasty saffron-chicken broth. 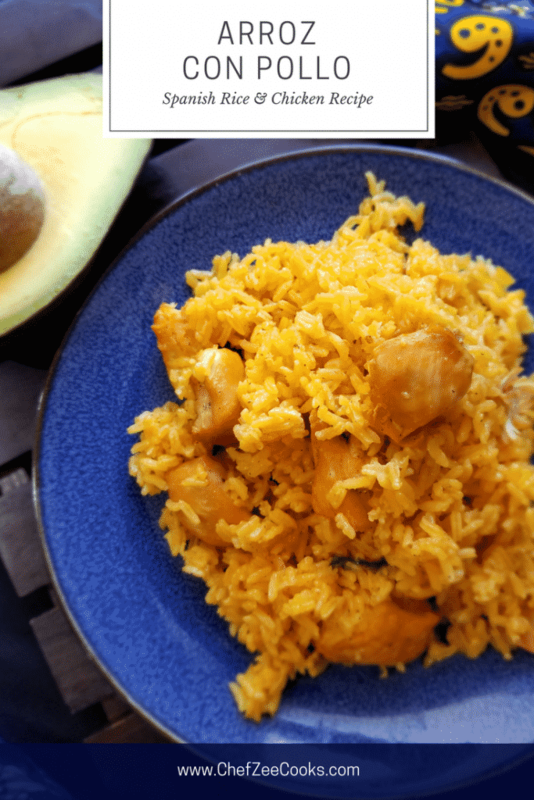 In the end, what you get is a classic Hispanic Rice Dish that’s full of flavor, color, and history! What’s even better is that this dish feeds a village on a budget! You could even stretch this dish even further is you made beans to go with it as well. Regardless, this rice dish is a #1 Fan Favorite! As with all rice dishes, it’s important that you know your stove and pots since the settings will differ. For the most part, I use a 1:1 ratio of rice to water and add 1/4 cup more of water. Why do I do this? Well, my gas stove is a BEAST! It heats up quicker than I can keep up with so I add an extra 1/4 cup of water to account for the evaporation speed. On the other hand, whenever I’m making rice in my mother’s house, I stick to the 1:1 ratio. Sometimes, I even add a tiny bit less than the 1:1 ratio because her stove takes a while to warm up. It’s important to know how your stove and how your pots react to your heat because will be the determining factor on whether or not your rice comes out perfect! No worries if you haven’t yet figured it out. Practice makes perfect. My advice? Start off with the 1:1 ratio and pay close attention. This will tell you exactly how your stove & pots cook rice. For more details on How to Make the Perfect White Rice be sure to visit my YouTube Channel: Chef Zee Cooks. 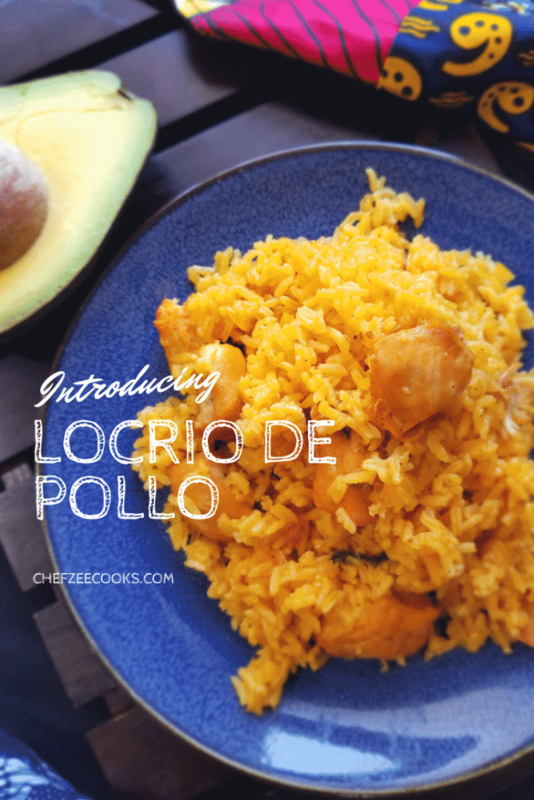 In the meantime, let’s whip up an amazing Locrio de Pollo | Arroz con Pollo!